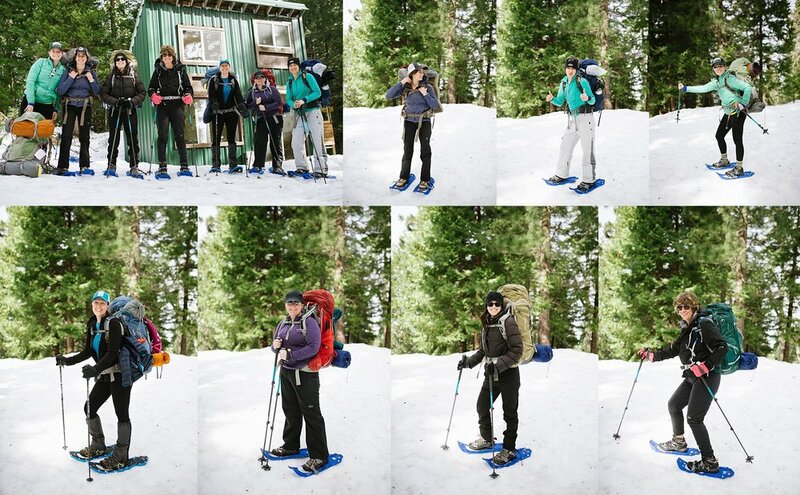 In February I joined along the Trail Mavens snowshoe backpacking trip as their trip photographer! This is the second trip I have been on with them and it was nothing short of amazing. So amazing actually, that I am now one of the co-leaders and the first trip I will be helping on is in June the the LOST COAST! Yesssss! It had just rained for a week and the weather warmed up before we went so a lot of the snow had melted, so the snowshoeing was minimal, but we still got some in! We spent two days hiking, sledding, and relaxing in the little hut, but then sleeping in the snow. And guess what? I didn't freeze! Actually I had the warmest camping sleep I have had (many props to the sleeping bag liner and multiple layers). The ladies on this trip were so lovely and we had great conversations throughout the days we were together. And the food made on these trips is always phenomenal and Maria even treated us to her special "Maria's Meyer Lemon" beverage. Yum!